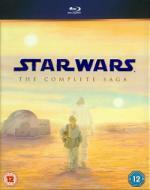 Overview: The STAR WARS saga is now complete on DVD with Episode III REVENGE OF THE SITH. Torn between loyalty to his mentor, Obi-Wan Kenobi, and the seductive powers of the Sith, Anakin Skywalker ultimately turns his back on the Jedi, thus completing his journey to the dark side and his transformation into Darth Vader. Experience the breathtaking scope of the final chapter in spectacular clarity and relive all the epic battles including the final climactic lightsaber duel between Anakin and Obi-Wan. My Thoughts: The final part of the prequel trilogy. I enjoyed this a lot more than the earlier 2. In this they really set up the original trilogy with the 4 births - The Empire, Darth Vader, Luke and Leia. My Thoughts: hmmmmm. I'd like to say this was a revelation and a riveting film, just to rebuff Jon's comments when I purchased it, but sorry it wasn't. Now off to look at Jon's review. Maybe I'll report back once I've read it. sorry, Dave. I'd have been impressed if you had been able to enjoy it. No problemo, I tried to like it. I thought your review covered the film very well, although the love came after he showed compassion when he saved her from the bite or sting she suffered in the lake/sea. Overview: SYLVESTER STALLONE stars as Barney Ross, leader of The Expendables, a tight-knit team of skilled combat vets turned mercenaries. Hired by a powerful cover operator, the team jets off to a small South American country to overthrow a ruthless dictator. Once there, they find themselves caught in a deadly web of deceit and betrayal. Using every weapon at their disposal, they set out to save the innocent and punish the guilty in this blistering action-packed thriller. 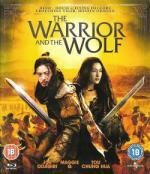 My Thoughts: A very enjoyable action film. Usual park your brain on the side table fare and just let your eyes and ears take everything in. Overview: A seemingly ordinary day at Fujimi High School rapidly descends into a terrifying nightmare and a deadly fight for survival for a group of teenage students who find themselves caught up in the chaos caused by an outbreak of a new disease that turns its victims into ravenous, flesh-eating zombies. Forced to slay large numbers of their teachers and fellow students just to escape the confines of the school, they soon learn that the outbreak is not only a local of even national problem but also a global one. As the pandemic rages out of control, society begins to collapse and everyday moral codes begin to crumble. Now it is up to Takashi Komuro to unite the small group of school friends and other survivors and lead them on a journey that they hope will take them to a place of safety beyond this new world of the living dead. My Thoughts: Quite an enjoyable series. I was only going to watch a couple of episodes but in the end I watched them all over two days.
. The contagion is spread by being bitten by the zombies, as per usual for zombies, so how it could be worldwide in a matter of minutes this way I'm not too sure. One nice thing I spotted was what appeared to be an homage to Shaun of the Dead with the petrol company at a petrol station being called Shaun. From the start and throughout there is fan service* aplenty which can be off-putting for those who don't like fan service. *Fan service is described at wikipedia here. Overview: Gantz is based on a hit manga series created by Hiroya Oku and stars leading Japanese actors Kazunari Ninomiya (Letters from Iwo Jima) and Kenichi Matsuyama (Death Note, Detroit Metal City). 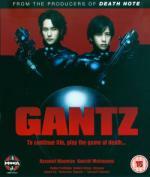 After an accident on the train platform, recently deceased childhood friends Kei and Kato find themselves transported to an empty apartment populated by other confused strangers and a mysterious black ball known only as Gantz, which issues them a set of strange suits and alien weapons, instructing them that their lives are forfeit and now they must exterminate "dangerous aliens" from Earth in a series of games. My Thoughts: I really enjoyed this film. An interesting concept of bringing people back to life to fight aliens. Looking forward to part 2 when it comes out next year. If you have missed it, here is my review of it. It's not indexed yet. Thanks Tom . I've got the anime on its way to me and I may well look into the manga as well now. 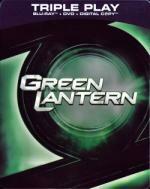 Overview: Experience the action as it was meant to be seen as Green Lantern takes flight in full HD! In a universe as vast as it is mysterious, an elite force of protectors for peace and justice has existed for centuries. They are the GREEN LANTERN CORPS. When a new enemy called PARALLAX threatens to destroy the universe, their fate and the fate of Earth lie in the hands of the Corps' newest recruit, the first human ever selected: HAL JORDAN (Ryan Reynolds). Bringing the popular superhero to the big screen for the first time, Green Lantern also stars Blake Lively (Gossip Girl), Peter Sarsgaard (Orphan), Mark Strong (Sherlock Holmes), Academy Award® nominee Angela Bassett* and Academy Award® winner Tim Robbins**. My Thoughts: I quite enjoyed this film. As with many others based on US comics I have no real knowledge of the mythos and background so cannot compare with the comics, but overall I thought that how Hal Jordan (Ryan Reynolds) became the Green Lantern and his initial misgivings and eventual acceptance were handled well. The ending of the film sets up for a sequel. Overview: Suzanne (Deneuve) is a "Potiche"; a beautiful, subservient wife dedicated to serving the selfish whims of her tyrannical husband. But after the exploited workers of his umbrella factory decide to strike, Suzanne takes on the role as head of the company to great success. Although business and personal politics are about to collide with the arrival of Maurice (Depardieu), a charming union leader and a former lover of Suzanne's. 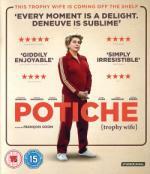 Starring two of the most iconic stars of French cinema, Catherine Deneuve and Gérard Depardieu and directed by acclaimed filmmaker François Ozon (8 Women, Swimming Pool), Potiche is a hilarious, stylish and subversive romantic comedy that turns the battle of the sexes on its head and refuses to pull any of its punches. My Thoughts: A wonderful gentle comedy. All three leads play off each other marvellously with general excellent support from the remaining cast. At times it almost descended into farce territory but managed to pull back from there and stay a lighthearted comedy. To your very surprise, the film is based on the current-favorite Bollywood theme of Indo-Pak relations and formulated as a mission film. Of course it's loaded with dollops of fun, humor, romance, action and emotions as well. In Bollywood slang – a complete masala film! Major Ram Prasad Sharma (Shahrukh Khan) yearns to see the ambitious project Mission Milaap become a reality. A mission that will prove to be the dawn of a new tomorrow! Where long standing enmity between two countries will begin to see its end. But some forces do not want that dawn to come. One of them is Raghavan (Sunil Shetty) who will do anything to prevent the strategic move. For this reason his devious shadow looms large over General Amarjeet Bakshi's daughter Sanjana (Amrita Rao) , whose life is in danger. Every drop of Ram Prasad's blood glistens with the shine of pride for his country and he will not allow dark actions to create an eclipse in its bright future. To protect Sanjana, he goes to her school as a student… indeed 'Back to School'! Here fun and frolic conceal his real intent. Will anyone here guess that he has just lit funeral pyre of his martyr father Brigadier Shekhar Sharma (Naseeruddin Shah) . The ashes have emerged but the fire has not subsided. For he has to fulfill his fathers last wish. Strangely, the fulfillment of his wish also lies in this very school… completing this mission will be no easy task. For it involves intense emotions and long – standing misunderstandings. These two missions are now his life-blood. The weapon of one mission is Gun and that of the other is Love. But the road to both is that of Truth. The only option is victory. The only man is Ram Prasad Sharma. And the only mantra is Main Hoon Na! and the fact that to fall in love all you have to do is dress feminine if you're the female and b) cut your hair if you're the male. Editted to remove an incorrect aspect within the review. and the fact that to fall in love all you have to do is a) dress feminine if you're the female and b) cut your hair if you're the male. This is what I also had a problem with. Especially since Amrita Rao looked way hotter before the makeover. I also didn't like it, that even though she mentioned to Lucky that she doubts that he loves her for her and not her new clothes, she never goes back to being herself, so that he has a chance to prove otherwise. But I disagree with you on the haircutting. She loved him before the haircut. The haircut was just for him to show his mother that he loves her and that he was willing to get a proper haircut for her. Yes you are quite right my fault in over thinking in writing this review. The battles continue as Kei and other members still reside in the "in-between" world of GANTZ. Determined to resurrect friends who have died in battle, Kei and other members trapped in the "in-between" world of GANTZ are aiming to score the 100 points needed to break through. 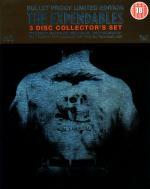 An emergence of a mysterious investigator, however, complicates the situation further. The battle continues on as the two dimensions start to merge together. Some fight for love, and others fight for justice. At the end, who will sacrifice the most? I did enjoy this film but found myself a tad confused. 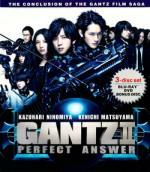 The first film Gantz followed the anime but this film departs from that path, it is possible that this film follows the manga but not having read that I cannot comment. We are introduced to a new lady with a black ball and an investigator who both have an impact on the Gantz participants. There is a new level of conflict between Gantz and the aliens leading to a conclusion which I'll admit I was not really expecting.